Construction materials have an important role to play in this modern age of technology. Although their most important use is in construction activities, no field of engineering is conceivable without their use. 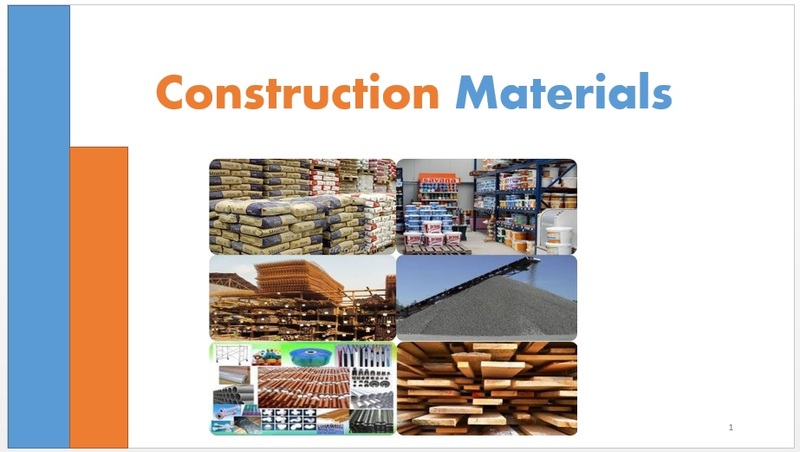 Also, the building materials industry is an important contributor in our national economy as its output governs both the rate and the quality of construction work. Perhaps the most important of these is the climatic background. Obviously, different materials and forms of construction have developed in different parts of the world as a result of climatic differences. Another factor is the economic aspect of the choice of materials. The rapid advance of constructional methods, the increasing introduction of mechanical tools and plants, and changes in the organisation of the building industry may appreciably influence the choice of materials. Due to the great diversity in the usage of buildings and installations and the various processes of production, a great variety of requirements are placed upon building materials calling for a very wide range of their properties: strength at low and high temperatures, resistance to ordinary water and sea water, acids and alkalis etc. Also, materials for interior decoration of residential and public buildings, gardens and parks, etc. should be, by their very purpose, pleasant to the eye, durable and strong. Specific properties of building materials serve as a basis for subdividing them into separate groups. For example, mineral binding materials are subdivided into air and hydraulic-setting varieties. The principal properties of building materials predetermine their applications. Only a comprehensive knowledge of the properties of materials allows a rational choice of materials for specific service conditions. To Make Something or to build something. In our field we make buildings or houses. Materials used to construct a building, house or any other thing. Following are some of the major materials used in construction.